The hand played record is a gimmick. It was never intended for serios audio reproduction. That makes it rather funny to see and hear it being used in this way. 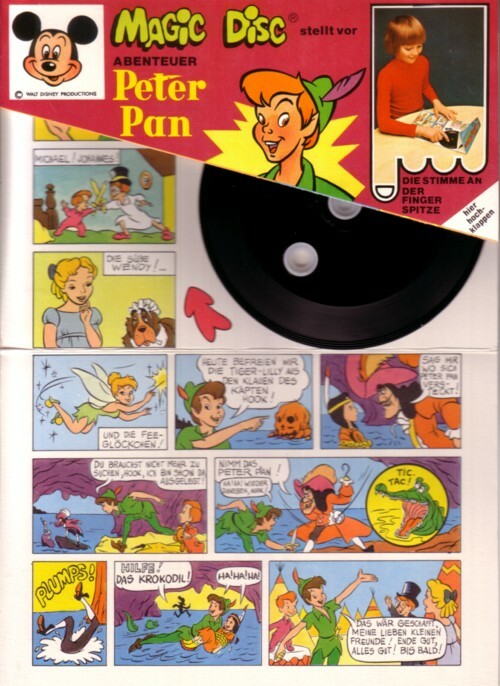 The Walt Disney Studio’s needed 90 minutes to tell the story of Peter Pan in their movie, but on this Magic Disc the story is abridged to 30 seconds, depending on your ability to spin this hand record player. Maybe therefore you get the same story twice: as a record and as a comic, in case you might not get it. 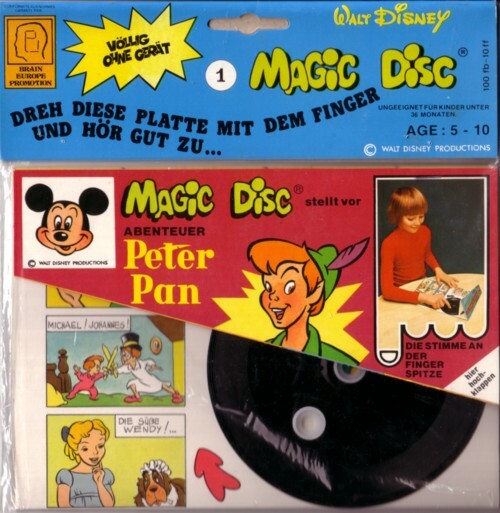 This Magic Disk, published by the German division of Walt Disney Productions, has number 1, so I guess there more waiting to be re-discovered. To be continued!